Adequate muscle strength is the foundation for all other facets of your physical state. Being strong gives you the ability to perform better, recover faster, produce more power, last longer and more importantly prevent injuries. Following these specific programs will build up your strength to where it should be and set you up to get in your best physical state. 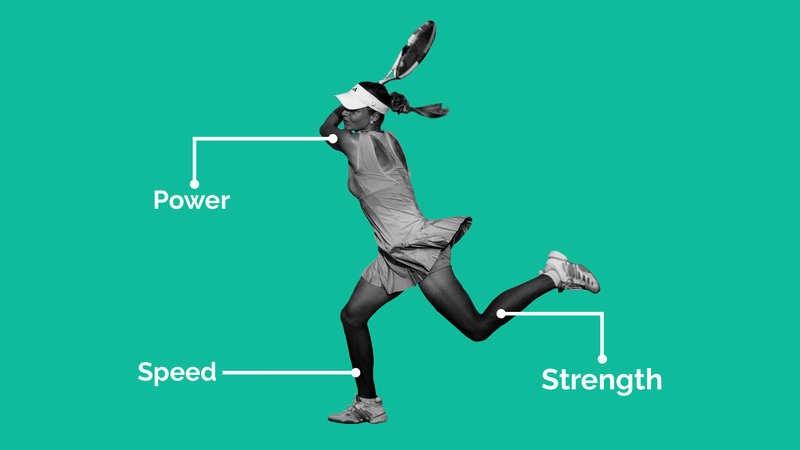 Having the ability to perform repeated power movements (Pushing off, Jumping, serving) is what tennis is all about. Improving this area will lead to better force production and improved power control. This program will set you up with everything you need to produce more repeated power. This program targets the three different speed components. Acceleration, deceleration and high-end speed. There are three key area's one needs to concentrate on when performing these speed components at high intensity - power, position and pattern. Concentrating on these three components in the speed drills will improve your overall speed. Having fast and responsive movement is what every tennis player should be aiming for. Getting yourself set up for shots, getting to short balls and having the ability to feel like you can attack from anywhere on court is important. This program targets your first step acceleration, change of direction, deceleration, footwork and reaction time. Tennis requires you to be on the court for hours on end, constantly moving and concentrating. The structure of this program takes into consideration the work: rest ratio in a match, how long the average point is and what your aerobic base needs to be at to give you optimal endurance. After completing this module, you will be recovering faster between points, have more stamina and better mental resilience. Having the ability to move your joints through a functional range of motion is important for long term physical success and reduced risk of injury. Joints are controlled by muscle movement and opening the chain of movement. These tennis specific movements based exercises will increase the joint range of motion and allow you to feel strong at end range.